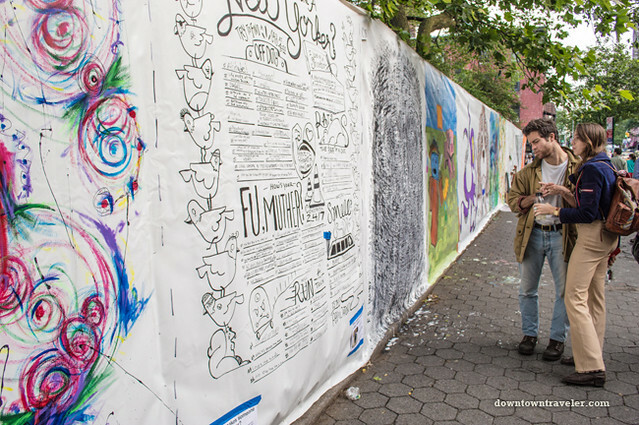 For one weekend a year, the East Village transforms into a beatnik paradise. 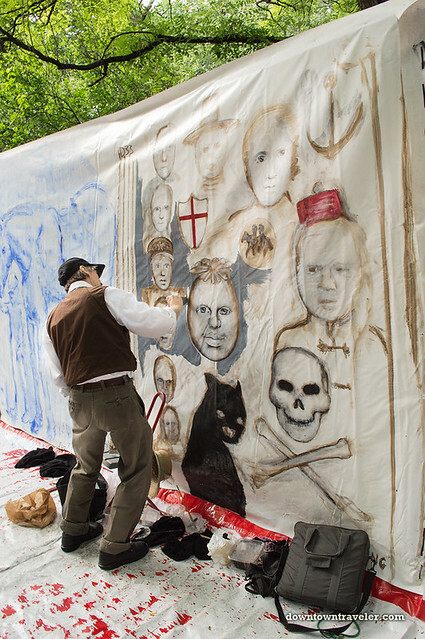 Artists paint massive street murals, dancers gyrate across a stage and New Yorkers are treated to a live reading of Allen Ginsberg’s HOWL. 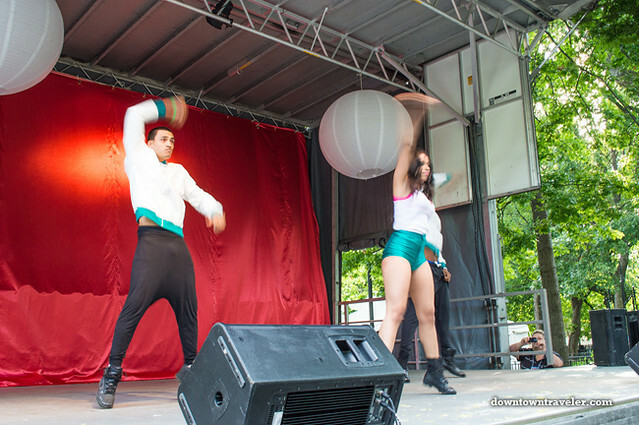 The 2012 HOWL Festival attracted a diverse crowd to Tompkins Square Park this weekend. 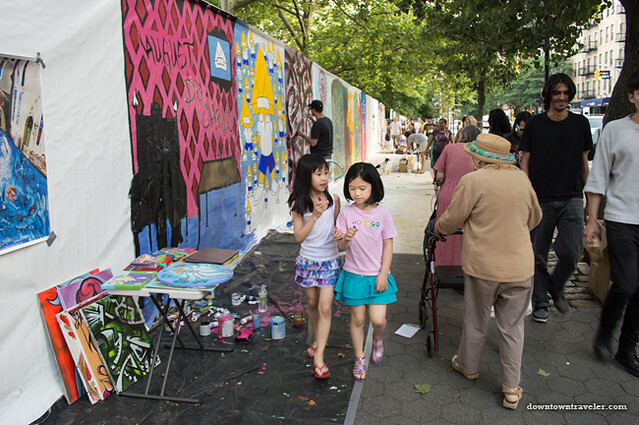 From children to the elderly, they were all looking for an arts-and-culture fix. 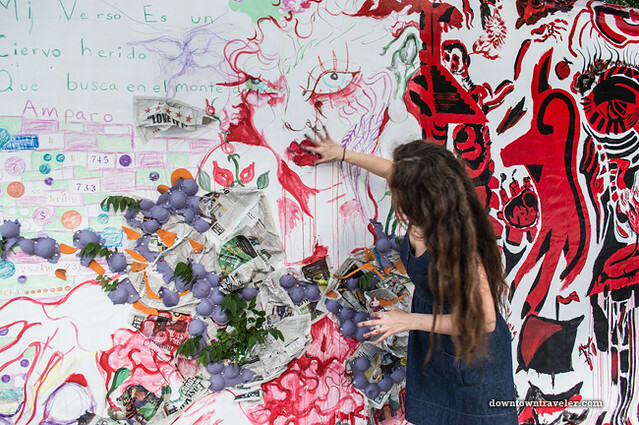 This free fair was founded in 2003 to celebrate the rich artistic tradition the East Village and Lower East Side. 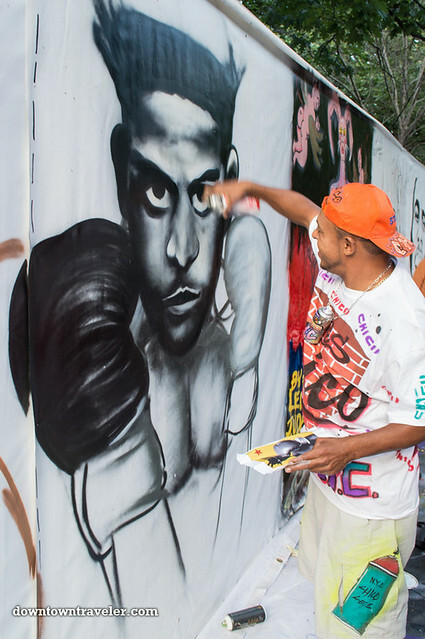 Among the event’s highlights is the “live” painting of a massive, 900-foot long street mural that stretches across three city blocks. 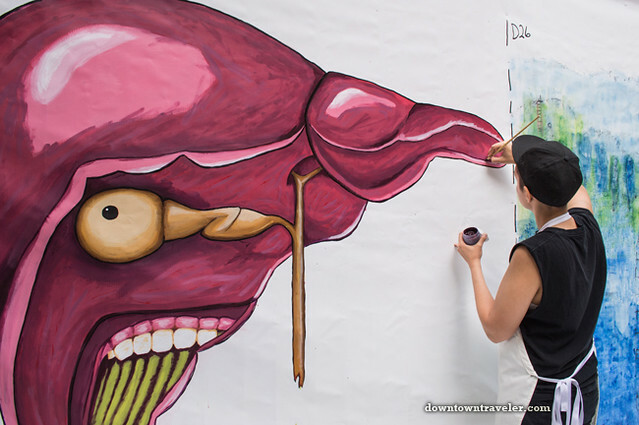 >> Scroll down for photos of artists and performers at the 2012 HOWL Festival. What do you think of the HOWL Festival? Share your opinion by leaving a comment below! If you are reading this via email or RSS feed, click on Downtowntraveler.com to leave a comment. Great post… I love graffiti! Thanks! 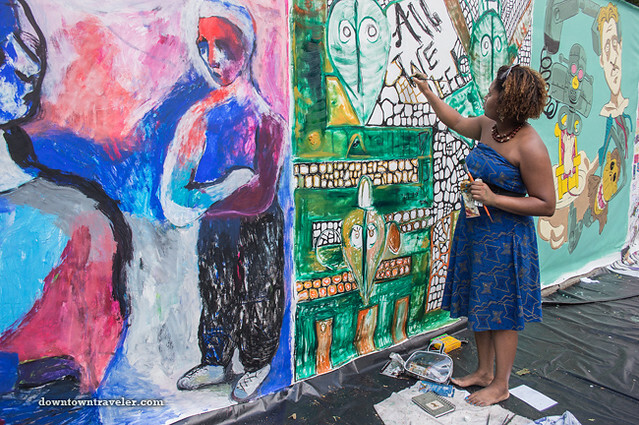 The HOWL Festival was a fun event– especially since you can see street artists in action. Wow, I hadn’t heard of this festival. What great artwork…really talented people! It’s a fun event that I seem to happen across every year. I get the sense the artists have diverse backgrounds… they are definitely on the “emerging” range of the spectrum. It’s great to see their process as they work on the murals!